Hi, there! 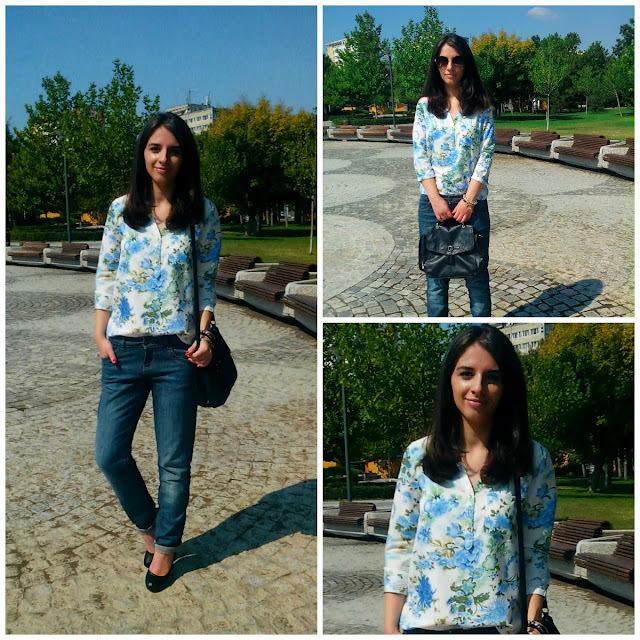 Here I am with another outfit post, this time showing you my new flower printed blouse. It's my latest aquisition and I like it a lot. I chose to wear it with a pair of boyfriend jeans because they are my favorites lately. They are so comfortable and for a more polished look you just add a pair of heels and you're good to go. This was my first order from Persunmall and I must say I was very satisfied with it. The shipping is free and I didn't even have to wait that much, it took it around a week to arrive. That's great! this shirt is so beautiful ! I love floral prints. Your shirt is pretty. I love your shirt dear! Nice shirt and you look great! i follow you back! thanks! E superba camasa, imi blace la nebunie! Foarte frumoasa tinuta! lovely shirt and the selection, so pretty! 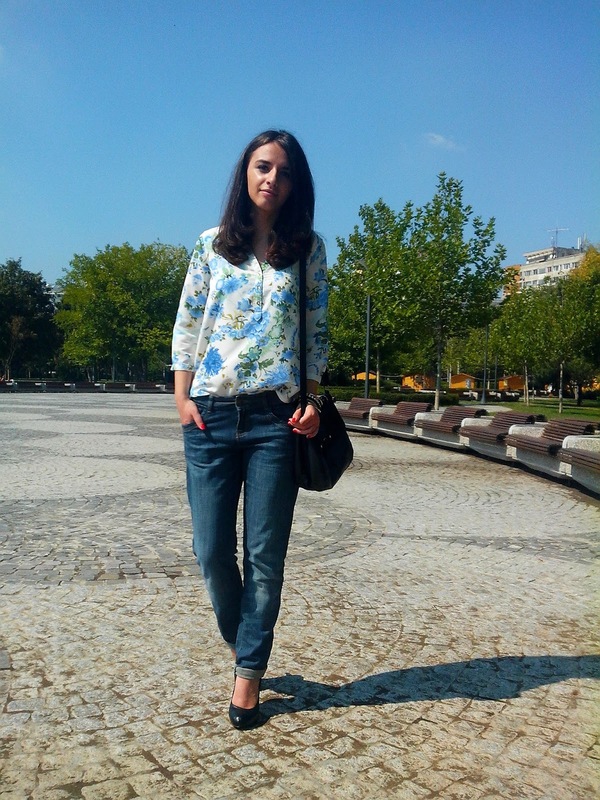 Beautiful shirt, I like the pretty colours and floral print, really chic outfit!Thanks for your visit dear! I love the feminine flowers paired with boyfriend jeans. Great look! That is a simple and gorgeous top! Love floral for a top it pops the outfit even more. You should check out this fashion blog mywhiteT.com she has amazing looks with patterns. 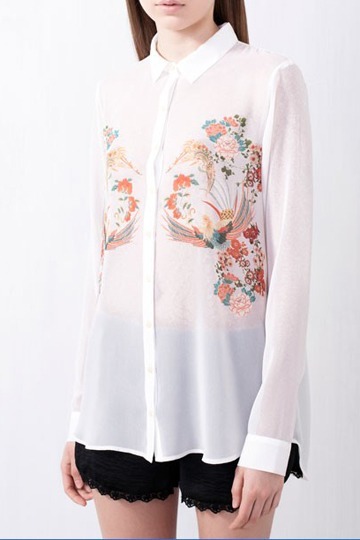 That is such a pretty blouse!!! Love this outfit and the shirt is beautiful. 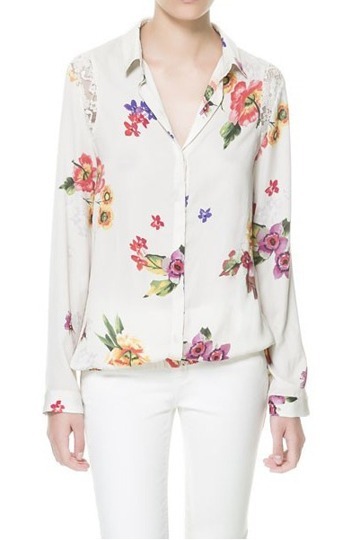 Love the floral blouse girl! Looks so pretty on you:)! In love with this shirt! So pretty on you and your hair color! Casual chic - I love looks like that! Hey there, loved your blog, just followed you on GFC, (761) would you mind to follow back? LOVE the top! Great post! beautifull shirt and great combination! Great shirt, and it looks wonderful with the boyfriend jeans and heels. What a beautiful print and colour scheme. You look lovely! Really like those jeans! Lovely top. I love the flora. love your shirt! a nice outfit! 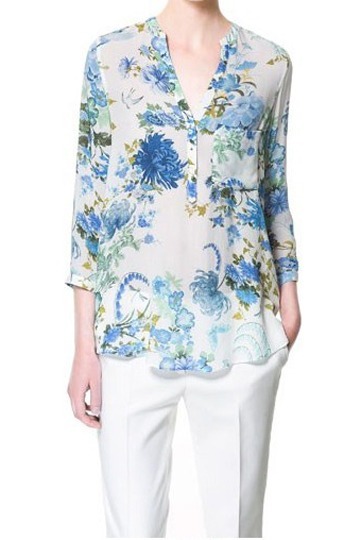 That is such a lovely floral blouse. Adoro a camisa, e soa a perfeição para esta altura de transição! Hi Adriana, very interesting shirt. Cute and casual look. 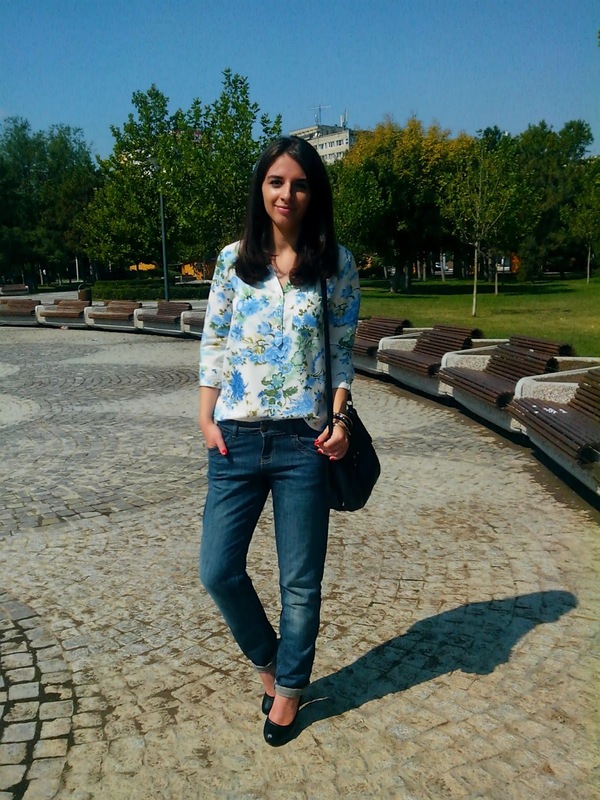 That shirt is so beautiful.The pattern and the colour is just perfect for summer.Looking great with your black hair. Nice Blouse! Love your style.